Born in Fort Pierce, Florida in 1950, David was a member of the 173rd Airborne Special Forces Brigade – Fort Bragg NC and a Vietnam vet. Arriving in Ketchikan in 1971This aviation maverick took a long and varied career path as a commercial fisherman, longshoreman, and big game guide before finally following his dream of opening his own air taxi service in 1981. Little did he know that someday he would rise to the challenge of heading one of the most successful air carrier services in the great state of Alaska. He is now President, CEO, and Chief Pilot of Misty Fjords Air & Outfitting. As an Alaskan aviator, Dave has logged over 20,000 hours of safe flying time in the skies of Southeast. Born in Troy, Ohio in 1955, JJ first started flying in Ely, Minnesota and moved to Ketchikan in the spring of 1979. His hobbies include outdoor sports, hiking, freshwater fishing, and big game hunting - all of which makes him a well-qualified bush pilot guide. He enjoys the Southeast, Alaska lifestyle by summer and yearly vacations to the Hawaiian Islands. In his career, he has logged over 33,000 hours of safe flying time, most of which were at the controls of floatplanes. Born and raised in Ketchikan, Alaska in 1976, David Doyon Jr. was flying a bush plane before many kids were riding a bike. He earned his pilot's license by the age of 19 and by 21 was the youngest commercial pilot on the Ketchikan waterfront. With an inherited sense of wanderlust and his pilot's license in hand, he worked across the United States and in the U.S. & British Virgin Islands flying everything from the DeHavilland Twin Otter to a the Fokker-27. It wasn't long before he felt the lure of Alaska calling him home, as it had his father so many years before. He is now the Director of Operations at Misty Fjords Air & Outfitting, having received his Airline Transport Pilot rating in Tucson Arizona. David has also graduated from Flight Safety International and Wyoming Technical Institute. He has logged over 10,000 Hours of Flying Time, most of them in the skies of Southeast, Alaska. Born in Tecumseh, Michigan in 1974, Captain Joshua Ruttkofsky previously flew the Boeing 747 Freight Liner for Evergreen International Airways. 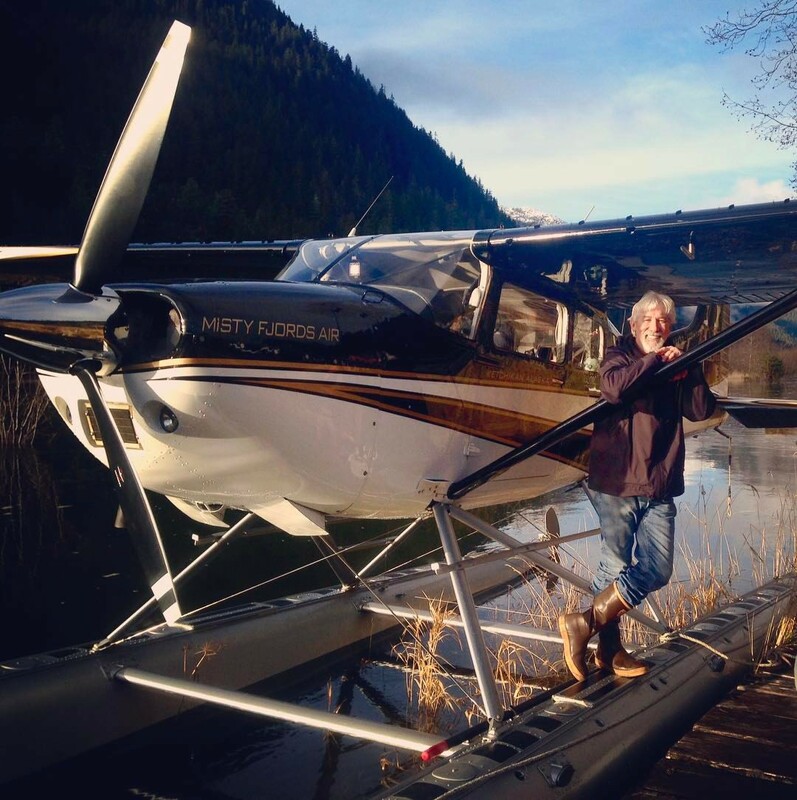 Since graduating from Northwestern Michigan College, he has logged over 11,000 hours of flight time and has been flying commercially in Southeast Alaska since 2000. Josh enjoys sky-diving, scuba diving, hunting, fishing and being with his family and friends. He resides in Ketchikan, and when not flying for Misty Fjords Air, he operates as a Lear Jet pilot for a local MediVac carrier in Southeast Alaska. Born and raised in Vancouver, Washington in 1950, Nick is a Marine Corps Veteran including two tours in Vietnam. He owned a heavy construction company working on the Alaska Pipeline. He enjoys hunting and fishing in Southeast. Nick has been flying in Alaska for over 30 years and has logged over 17,000 hours of flight time. He moved to Southeast in 1987 and currently lives in Craig on Prince of Wales Island.